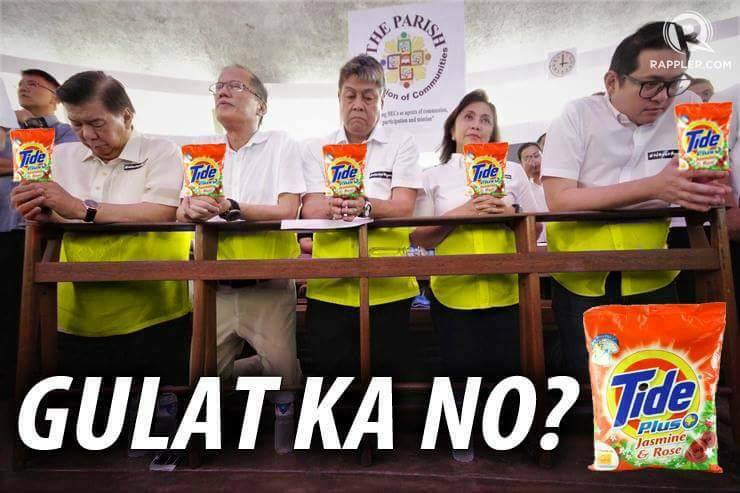 At the latest event of September 21, 2017 which they called as the "National Death of Democracy", their attempts to prove that the Philippines is now a dictatorship failed. 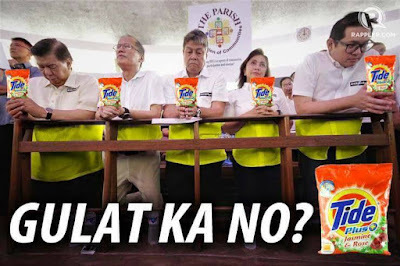 However, Proctor and Gamble Philippines' president Jim Lafferty was impressed by their white clothes decided to make them models for Tide. Lafferty explained, "Although their attempts to topple down President Duterte were pathetic but their dedication was admirable. They wore really white clothes and I could see how white their clothes are. Because they are no longer relevant as politicians so I offer them a new job. 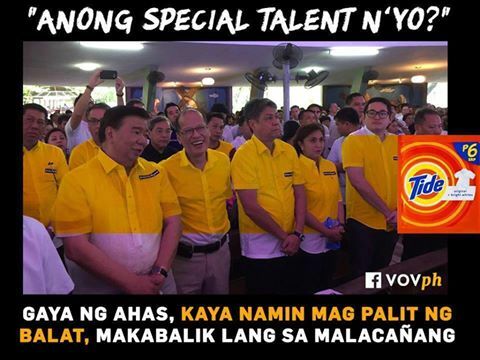 They can all be endorsers for Tide Detergent." A new commercial will be shot featuring Nobita and his friends. Not all members of this new commercial are from LP. Others will include Jejemon Bitay of United Nationalist Alliance, Gary Alejano of Samahang Magtalo and Antonio Trollanes IV of the Not A Democrat I'm Nacionalista Party.